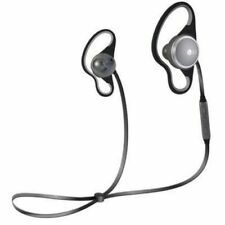 LG Wireless In-Ear Headphones Behind-the-Neck TONE ULTRA+ HBS-820S Black USED! Part # LG Tone Pro HBS-780 Black. · Advanced Quad Layer Speaker Technology™ – experience outstanding sound quality with well-balanced sound in all bands. Key Features. · Slim Body and Durable Wires – enjoy a lightweight, hidden magnetic earbud design with fine, low profile wires for enhanced durability. Trending at $25.97eBay determines this price through a machine learned model of the product's sale prices within the last 90 days. Headset may show signs of previous usage. What is included: headset Only. Bluetooth specification: Version 4.1. Advanced quad-layer speaker technology - experience outstanding sound quality with well-balanced sound in all bands. This item is NEW open box. Comfortable and lightweight with its innovative contoured design, the LG TONE TRIUMPH Bluetooth wireless stereo headset is the ideal mobile solution for people on the move. 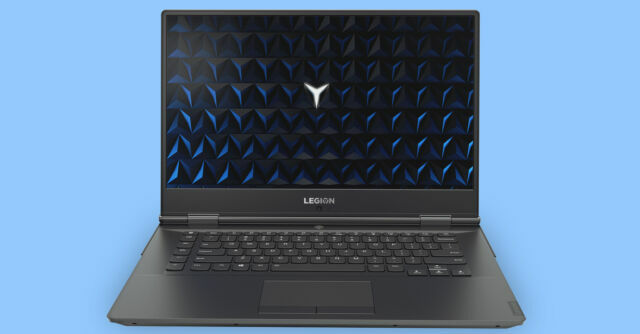 The exceptional audio quality is perfect whether you're on a call or listening to music, because you'll enjoy crisp, clear audio delivered through Quad Layer Speaker Technology. The sleek, magnetic earbud design and the smart features give the device a high-end look that you would never expect at this price. Powered by Solid Commerce The [All-in-One Listing, Inventory & Order Management Solution ] (https://pages.ebay.com/seller-center/listing-and-marketing/third-party-listing-tools.html#solid-commerce) for Online Merchants Protect Your Product With a Consumer Priority Service Warranty. Rock out and connect with your pals with this LG Tone Ultra HBS-810. Bluetooth 4.0 makes it easy to wirelessly pair enabled devices. Headband is loose as seen in the pictures. Previously owned. Headset has been retested to insure functionality. 165K+ Feedback! Serial Number! Actual Photos! Complete! Stay connected on the go with LG's HBS-770 TONE PRO Wireless Stereo Headset in black. Thin wires made with Kevlar fiber connect the earbuds to the headset for a clean look. Part # LG Tone Pro HBS-770 Black. · Enjoy robust bass, crisp treble, clearer voice, and less high-frequency distortion with the multi-layer speaker, and high-quality sound and exceptional voice clarity. Its sleek, contour design fits easily around your neck for a lightweight, comfortable style for the audio enthusiast looking for an exceptional wireless experience. Real Wireless Stereo – experience the real freedom of wireless earbuds with no tangling and no hassle. New ListingB&O PLAY H3 LG HSS-F800 Bang & Olufsen In-Ear Headphone with Mic Free Shipping! 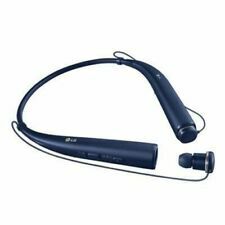 LG HBS-770 Tone PRO Bluetooth Wireless Stereo Headset Gold Superior Sound. Part # LG Tone Pro HBS-770 Gold. Noise reduction and echo cancellation. Tone and Talk supports SMS reader. 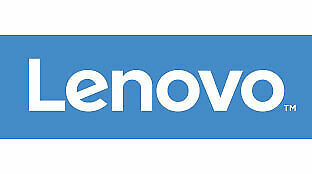 Quad-layer speaker technology balanced audio and less distortion. The sweat-defying, ergonomic LG Tone Active Stereo Bluetooth He adset is specially engineered to handle your fiercest workouts. Let music energize you with Advanced Quad-Layer Speaker Technology so you can pump up your pulse to the beat of the music. Part # LG Tone Pro HBS-780 White. Key Features · Slim Body and Durable Wires – enjoy a lightweight, hidden magnetic earbud design with fine, low profile wires for enhanced durability. · Advanced Quad Layer Speaker Technology™ – experience outstanding sound quality with well-balanced sound in all bands. Thin wires made with Kevlar fiber connect the earbuds to the headset for a clean look. Product Features In-ear design Fits securely and directs music into your ears for full, uninterrupted audio. Bluetooth 4.1 interface Enables simple wireless pairing with your Bluetooth-enabled device. This item is in good and working condition. Included: HEADPHONES AND USB CABLE. Subtle signs of Use and Wear can be present. Bang & Olufsen Beoplay In-Ear Earphones. LG H3 by B&O PLAY. Previously owned. Headset has been retested to insure functionality. Headset Only. LG Tone Ultra - Black (HBS-810). Signs of previous usage may be present. Fits securely and directs music into your ears for full, uninterrupted audio. Bluetooth 4.1 interface Enables simple wireless pairing with your Bluetooth-enabled device. Supports HFP, HSP, A2DP and AVRCP Bluetooth profiles. 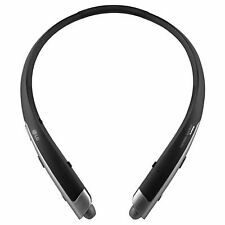 LG Tone Pro HBS-780 Bluetooth Stereo Headset - Black. Condition is Used. Shipped with USPS First Class Package. Trending at $33.42eBay determines this price through a machine learned model of the product's sale prices within the last 90 days. Brand New LG H3 by B&O PLAY Bang & Olufsen Beoplay In-Ear Earphones. LG TONE HBS-920 Infinim Bluetooth Wireless Stereo Headphones with Harman Kardon. Condition is New. Shipped with USPS Priority Mail. LG Tone Infinim HBS-920 Bluetooth Premium Wireless Stereo Headset In Rose Gold Color. LG TONE Infinim (HBS-920) In Rose Gold Color. Tone Bass: Enjoy adjustable bass on the earbuds for the ability to turn on/off boost bass when desired. Meet the perfect companion to your mobile life: the LG TONE PRO. Experience contoured comfort and exceptional audio clarity on a premium Bluetooth headset with the next generation TONE PRO. Featuring LG's signature around-the-neck wearing style and a slim, lightweight body, the TONE PRO is designed for anytime, anywhere use. Ultra-fine wires made of the durable DuPont Kevlar fiber speak to the TONE PRO's sleek profile and stay secure with the support of magnetic ear buds. Multiple color options, textured accents, and high-gloss exterior make the TONE PRO stand out! The redesigned TONE PRO gives you an intuitive way to interact with your music and calls. Its unique retractable cable design prevents cords from getting twisted and tangled, while also ensuring a personalized and comfortable fit. Silicone foam ear gels provide passive noise cancellation. LG Tone Ultra - HBS 835 - Black. Enjoy high quality audio and remarkable voice clarity with the new LG TONE Ultra™ featuring JBL® Signature Sound. 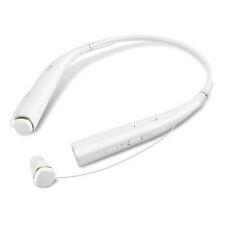 LG Tone Ultra HBS 835 Wireless Bluetooth Stereo Headset Headphones w/ JBL Sound. Condition is Used. Shipped with USPS First Class Package. In addition they have a inline microphone! In-line microphone. Enables simple wireless pairing with your Bluetooth-enabled device. Supports HFP, HSP, A2DP and AVRCP Bluetooth profiles. Noise isolation. Fits securely and directs music into your ears for full, uninterrupted audio.